John Giorgis is the founder and voice of A Moment With The Word. John is married, a father of three and grandfather of eight. 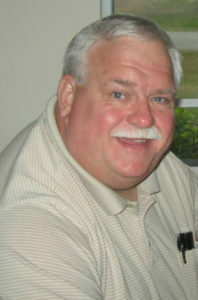 He is a semi retired, retail fuels marketing professional with over 35 years experience in the business. John has also been active in public speaking and broadcasting over the years. He started his interest in public speaking with a science project presentation that won a prize – in the fifth grade! In high school he was a two time VFW Voice of Democracy County winner. In college he was an award winning member of The Forensic Team. Later, he was asked by a local radio station to audition as a part time announcer and host for a weekend evening radio show. He hosted the show for three years. At the age of 17, he started serving as a Lector in his church reading scripture to the congregation during Mass. It was the beginning of a lifelong love for sharing Scripture. One of the highlights of his Lector experience was to be invited to read scripture to an audience of over 150,000 on Philadelphia’s ABC station’s “Mass for Shut-in’s” program. From this long time lector experience came a greater desire to proclaim and share the Word of God that inspired him to develop “A Moment With The Word”. John notes that he always hear from people that they just don’t have time to read the Bible or wishing they had more time to read it. However he observed that people always seem to spend some time each day listening to the radio. What if we could share the Word, briefly – a moment if you will – while they listen? AMWTW was the result – a minute of scripture on the radio that will hopefully inspire people to delve into the Bible more often and draw close to God.